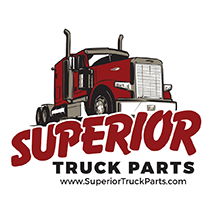 Superior Truck Parts is your premier source for new, used and refurbished truck parts. Located in Phoenix, Arizona you can be sure that our parts are rust free from the Arizona desert. Our knowledgeable and experienced staff is committed to getting you back on the road faster. Give us a call or visit us online at www.SuperiorTruckParts.com. Remember at Superior Truck Parts, our name says it all. If you are having difficulty finding you want you can fill out our request form.